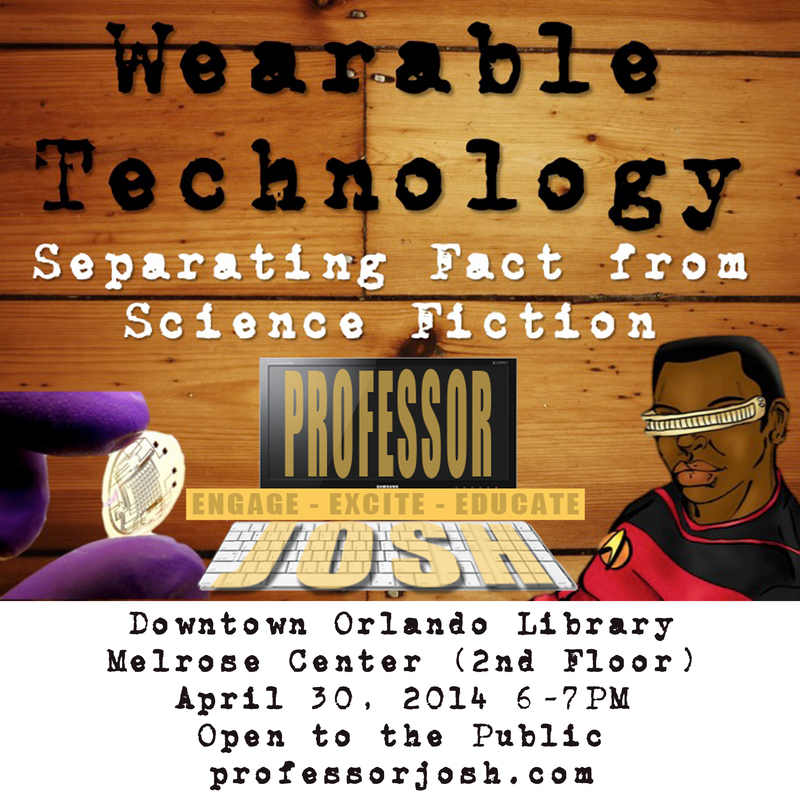 I’ll be presenting a Tech Talk “WEARABLE TECHNOLOGY: SEPARATING FACT FROM SCIENCE FICTION” for the new Melrose Center at the Orange County Library in Downtown Orlando on Wednesday, April 30, 2014 from 6-7PM. This will be a great chance to learn more about wearable technology and check out the amazing Melrose Center facilities. This event is free and open to the public. This presentation will be geared for all ages. Feel free to bring the kids along to engage, excite, and educate!